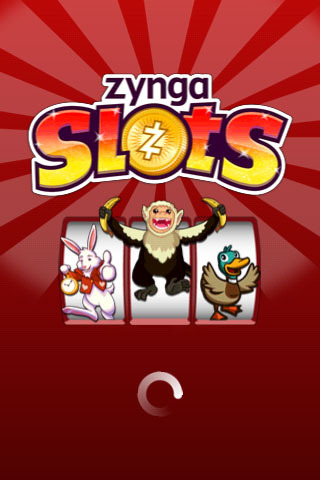 If you're a fan of slot machines look no further then Zynga's app Zynga Slots. Bringing the fun of casino styled slots to the palm of your hand. 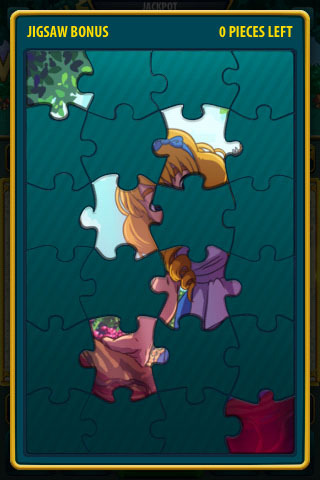 unlock new worlds and levels by upgrading throughout gameplay. 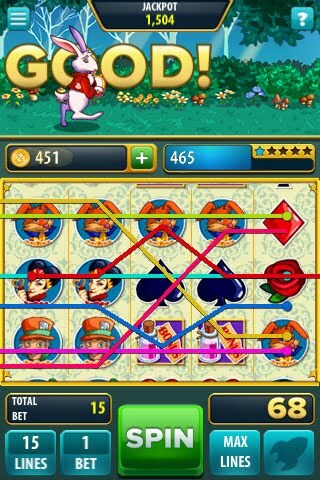 Use and win in game coins in a fun slot machine game. Press the spin button on the bottom of your screen to rotate the slots. There are multiple chances to win with every spin. 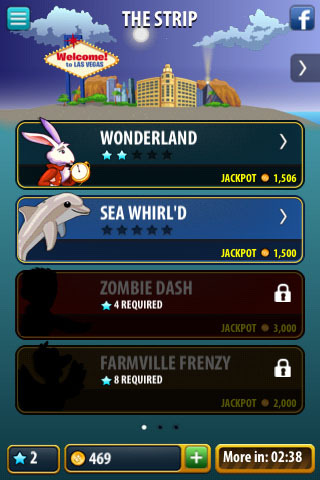 Choose either to bet the minimal amount or double it for a chance to win more money per spin. You have 30 seconds to spin as many slots as you can for a larger payout. Achieve fever mode by filling up your betting amount bar 100%. 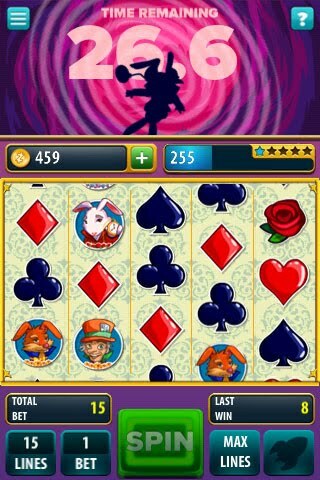 Play bonus games such as jigsaw by earning bonus slots in gameplay. 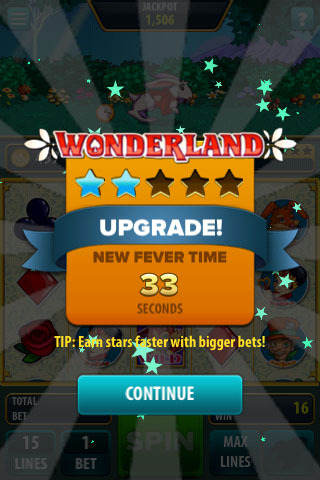 Upgrade throughout gameplay and have the opportunity to bet more and earn more coins.